I’d gotten a New Mexico State Parks annual camping pass. It was The Man’s idea. I’d thought about getting the pass before, but The Man said this winter we could each get one and spend the season in New Mexico State Parks. He’d wrap stones with copper wire to make pendants, and I could write. We met up at Leasburg Dam State Park after a month apart and stayed there a couple of nights. The Man thought he might be able to make some money in Carlsbad or Roswell, so we took off to that part of the state, planning to camp at Brantley Lake State Park. Brantley Lake is between Carlsbad and Roswell, off of Highway 285. It’s closer to Carlsbad (about 12 miles) and is about 70 miles from Roswell. 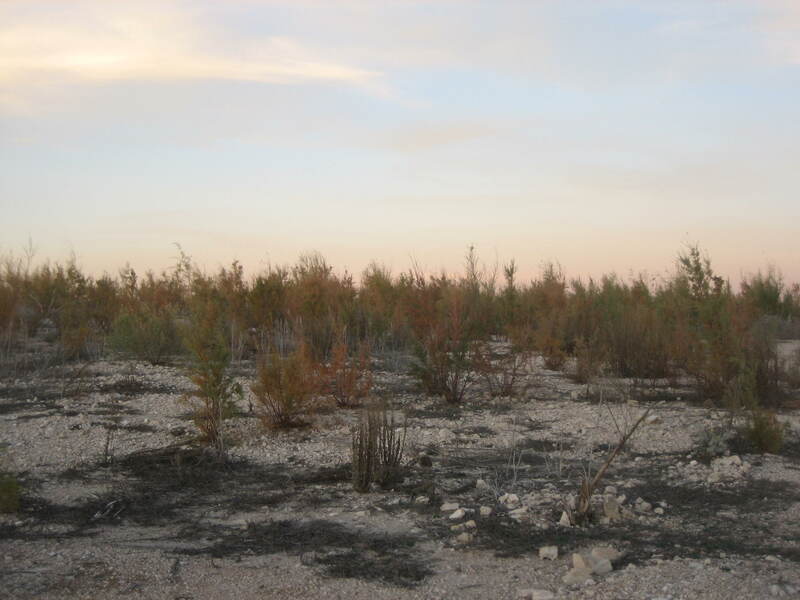 We’d stayed in the park’s Limestone Campground once before, when we’d been in the area the previous spring, after our visit to Carlsbad Caverns. I remembered two important things about the park. #1 All of the sites in Limestone Campground have electricity, so they all cost $14 per night instead of the regular $10 per night of the developed, non-electric sites covered by our camping passes. If we wanted to stay in the campground, we’d have to pay an extra $4 per night for our site. 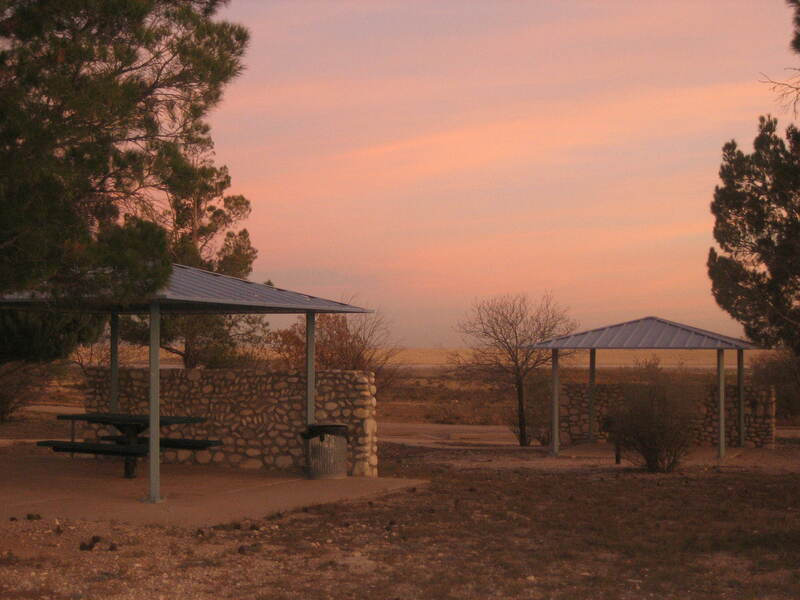 #2 The park offers primitive camping. I remembered the camp host taling about the primitive camping when we’d been there in the spring, and I confirmed primitive camping with my guidebook, New Mexico and Arizona State Parks: A Complete Recreation Guide by Don and Barbara Laine. 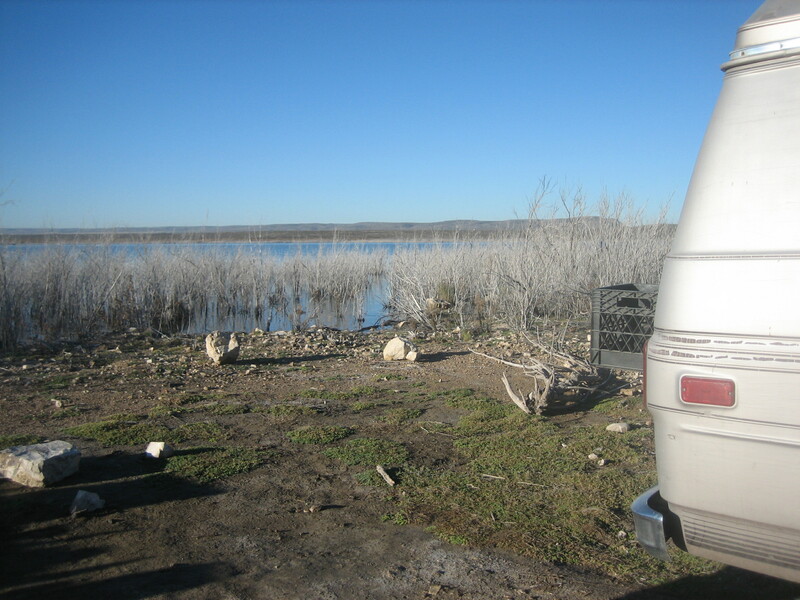 Primitive camping only costs $8 per night and is covered by our passes. It was dark when we pulled into Brantley Lake State Park, but we followed the signs to Rocky Bay, the primitive camping area. We parked our vans in a spot just off the road and a short walk from the lake. That’s where we settled in for the night. I parked that close to the water. Like most primitive camping I’ve encountered, this area had not amenities. It was a leave no trace kind of place where campers must pack out what they’ve packed in. However, the trash doesn’t have to be packed out very far. There are several dumpsters in Limestone Campground, and no one complained about us throwing several bags of trash into one. I suppose they’d rather have the trash from the primitive camping area deposited into the dumpsters rather than having it left behind to be blown into the water. While there are no restrooms in the primitive camping area (not even portable toilets, the camp host had said to me in the spring), we made ourselves at home in the restrooms in the day use area and the campground. Again, no one seemed to mind. The day use area was closer to where we camped, so we used the restrooms there more frequently than we used the ones in the campground. The restrooms in the day use area seemed to be unlocked 24 hours a day and had flush toilets and sinks with running water, but no showers. The showers are in Limestone Campground, and The Man and I utilized them twice during our stay of a little over a week. Nobody challenged our use of them. I think anyone in the park (probably even folks doing day use) could have a shower with no questions asked. The Man says he had two great showers with plenty of hot water in the men’s shower house. Of course, having to press the button repeatedly so the water would flow was a little annoying, but that’s the way it works in New Mexico state parks. Overall, he enjoyed his shower experience. I like a hot shower, but the water in the stall I picked the first time was barely warm. I chose a different stall for my second shower, but the water was no warmer. I thought maybe the problem the first time was that because the shower head was so high and I’m so short, maybe the water cooled by the time it hit me. I brought a cup with me the second time, and even when I put the cup right up to the shower head, the water that filled it was barely warm. Why did I have a cup in the shower with me? Because the shower head was mounted so high and because the water came out of it in a diffused spray, it had been impossible for me to rinse the soap from my privates during my first cleansing episode. The second time I brought a cup so I could rinse. By the time I finished my first shower, I was literally sobbing. I was so cold, and I couldn’t rinse, and my whole life seemed like a rotten mess. I was a little more stoic the second time because I knew I wasn’t going to get a piping hot shower, and I had my cup, so I could rinse. I was in and out in a flash. Wash and rinse my hair–wash and rinse my pits–wash and rinse my privates–done! van each day. It’s nature though–there’s going to be bugs! The Man thought the area was ugly, and he said he could smell the stench of refinery and lake pollution, and I believe the word shithole was spoken. I thought the area was pretty enough, in its own way. Shade trees would have been nice, but the fall temperatures were cool enough not to desperately need shade. (I wouldn’t want to camp out there in the summer with no shade.) 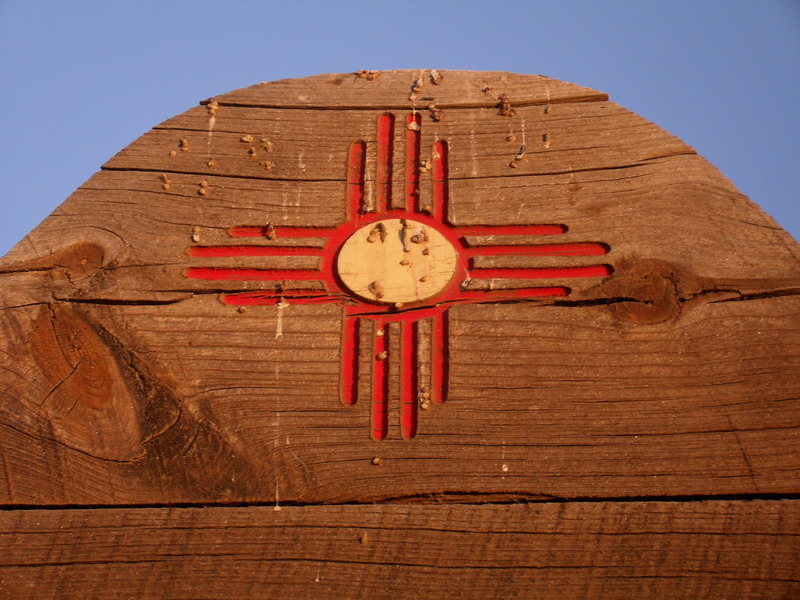 Also, it being New Mexico, the wind was quite strong on some days. Anyone planning to set up any sort of tent out there should weigh it down well. I enjoyed my time in the Brantley Lake State Park primitive camping area. We had plenty of privacy and weren’t bothered by any other campers. It was cool (literally and figuratively) to park near the water, and I saw a roadrunner and a great blue heron quite close to our campsite. 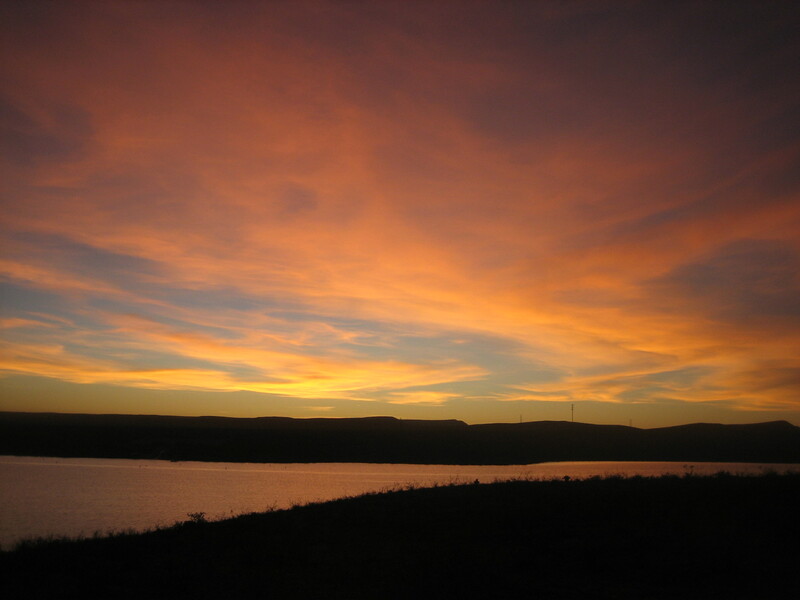 Also, you can’t beat a New Mexico sunset, especially over the water. I took the photos in this post. The book cover is an Amazon link. If you click on it, I get a small advertising fee on any item you put in your cart and purchase during that shopping session.